“Pieces,” is an allegorical tale taking place in 1986, with all the pomp of the decade. It is told in episodic form as a web series. The story features a nine year old vampire, symbolically embodying the idea of one with stunted emotional growth, assuming absolute power; power without empathy. This character exploits those who have suffered recent traumas, and further takes advantage of those who are openly empathetic. The inception of this project was rooted in an examination of modern politics, online social media polarization, and selective fact consumption. But once this doorway was opened into the characters and world, the characters take on a life of their own. Poster Art created for the project by David C. Rankin. Test artwork for the project by David Rankin. 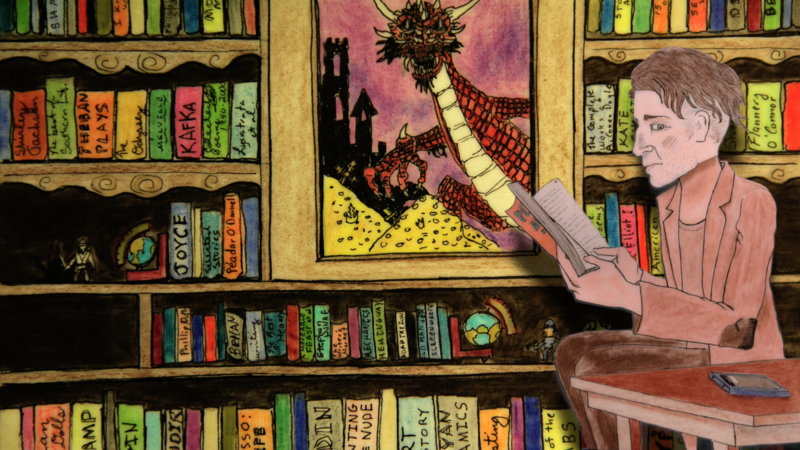 Deeper is a stop motion short film that spans the course of 100 years. The film focuses on the representation of three characters in different eras, and has fun hypothesizing on how technology affects their relationships, communication, and expectations. A short clip from the short film, Deeper. Liam eyes the cell phone, skeptical. Cindy and Ron spend quality time together. 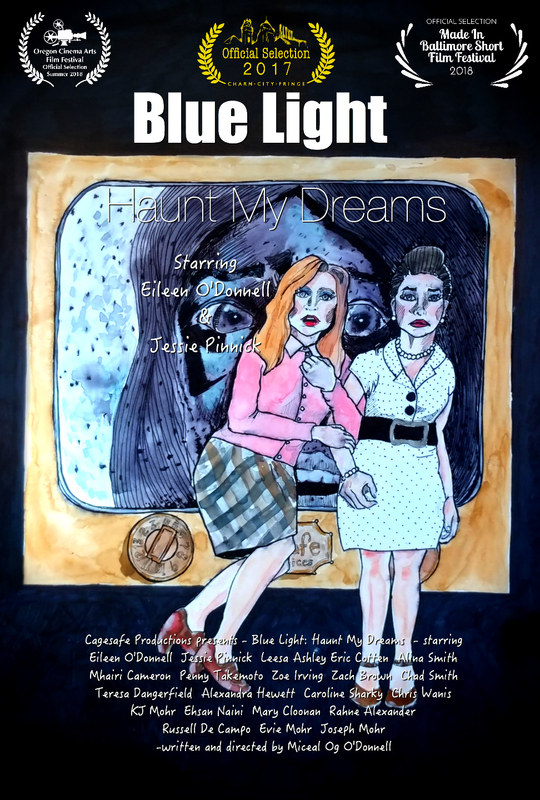 Blue Light: Haunt My Dreams is a short film loosely based on the web series we shot by the same name. The movie is about a housewife in the 1950s who is unsure if she is losing her mind or experiencing something from the realm of science fiction. 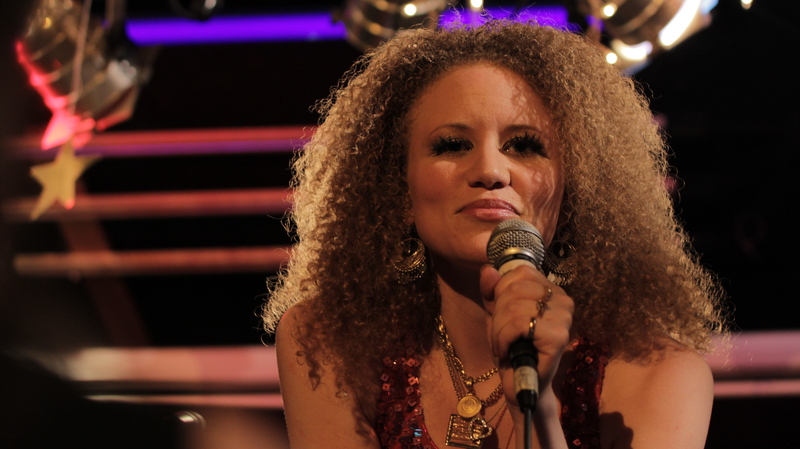 Eileen O'Donnell as Mildred, trapped in a disco party that materialized in her living room. Mildred hides in the closet, hoping that reality has the ability to autocorrect. 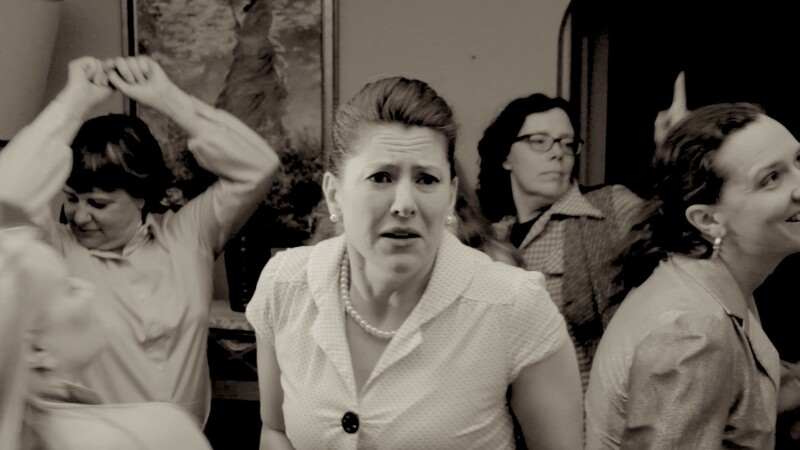 Jessie Pinnick, as Peggy Sullivan, imagines a life free of the obligations her Aunt Mildred happily suffers through. 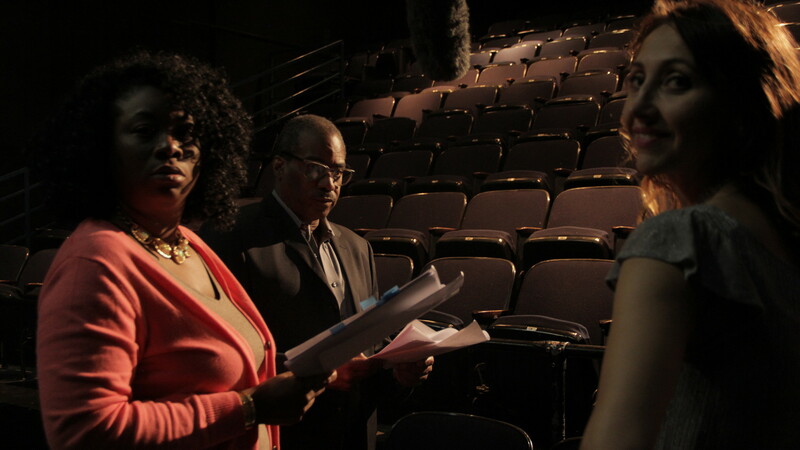 Baltimore actors Leesa Ashley, Eric Cotten, and Alina Smith record wild lines after their performance at Nights on the Fringe. 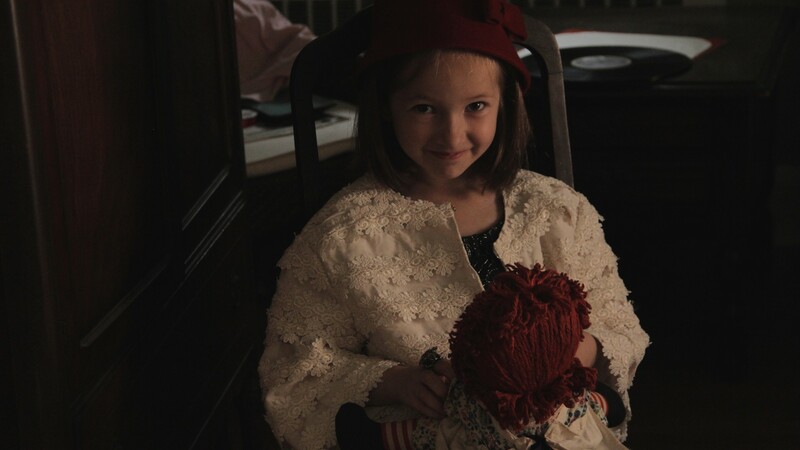 This young actress plays Mildred as a five year old. With the merging timelines, Mildred gets to walk in and witness the happiness she felt as a child. Mildred hears a seraphic voice echoing through the house, and finds a teenager resembling a younger version of herself. The first unwanted ghosts to flash into Mildred's living room are from Mildred's distant future. Played by Zach Brown and Zoe Irving. Blue Light is a Twighlight Zone inspired web series with its six episode first season complete. The show starts with Mildred, a 1957 housewife, coming home to find people from the future talking to her through her television. Throughout the episodes, Mildred regularly doubts her judgement and sanity, and opts to clean when faced with the possibility of ghosts, home invaders, or simply losing her mind. 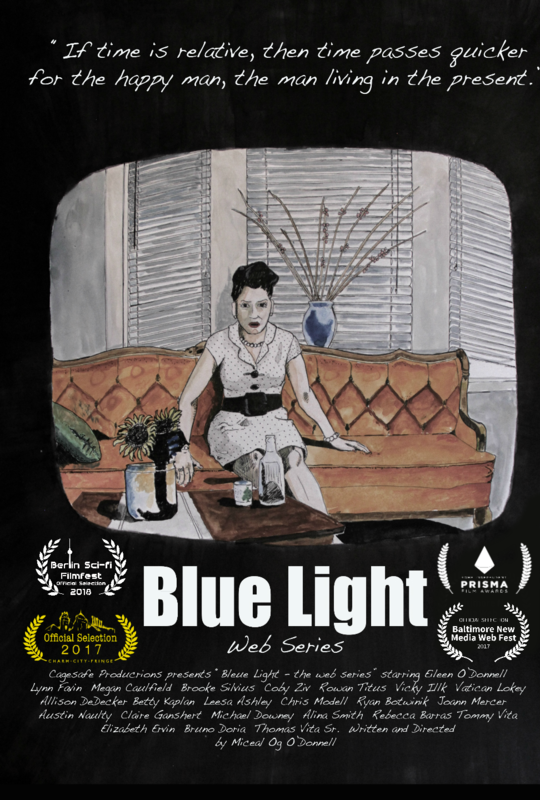 Blue Light has been written about in several online magazines, including Tubefilter, and has recently won "best creative direction" at the BNM Web Fest. Mildred first hears noises coming from the living room. Episode 1 of Blue Light. Episode 2 of the web series, Blue Light. Episode three from the web series, Blue Light. Episode Four from the web series, Blue Light. 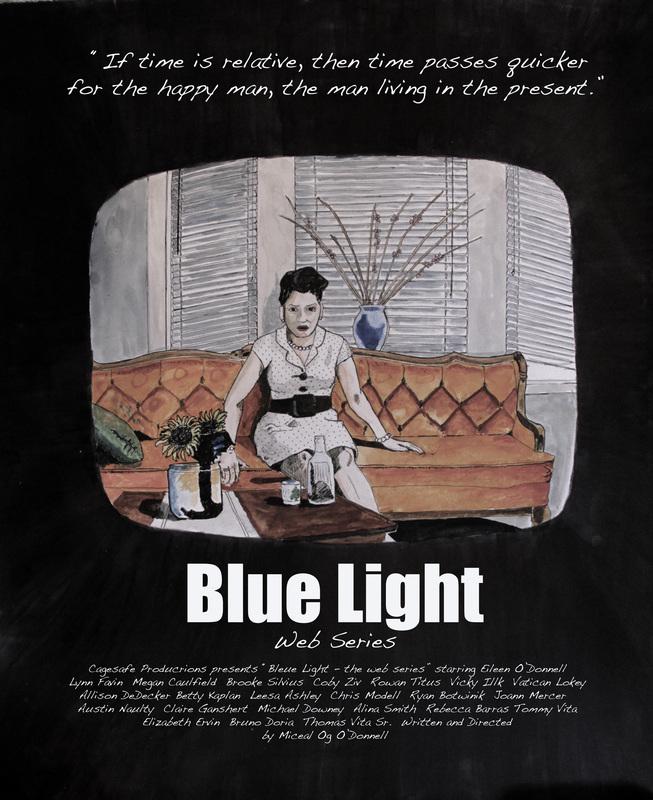 Episode Five from the web series Blue Light. Final episode from the first season of Blue Light. Between the Devil and the Deep Blue Sea is an independent feature film shot in Philadelphia and Baltimore featuring Brian Anthony Wilson from HBO's The Wire. The film was shot on the Scarlet Red camera on a micro budget. Thematically, the film explores how one's life can turn when emotional intelligence or impulse dictates one's actions in the face of conflict - emotion versus the intellect. Logline: After release from prison, Billy has one chance for a new life. Caught between a sea of violence and his own demeanor, can he escape? Actors Brian Anthony Wilson and Arnold Y. Kim. Photo by Miceal Og O'Donnell. Actor Ivans Theo, Tommy Vita, and Claire Ganshert. Photo by Miceal Og O'Donnell. 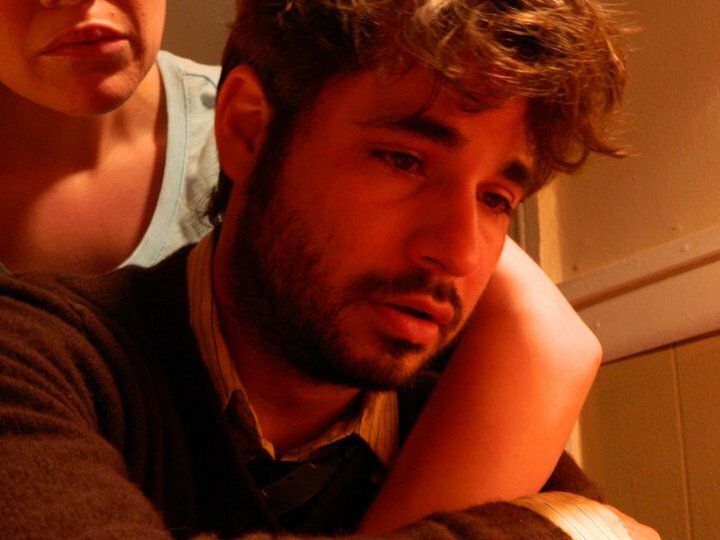 Actor Claire Ganshert in background, cinematographer Bruno Doria in foreground. Photo by Miceal Og O'Donnell. 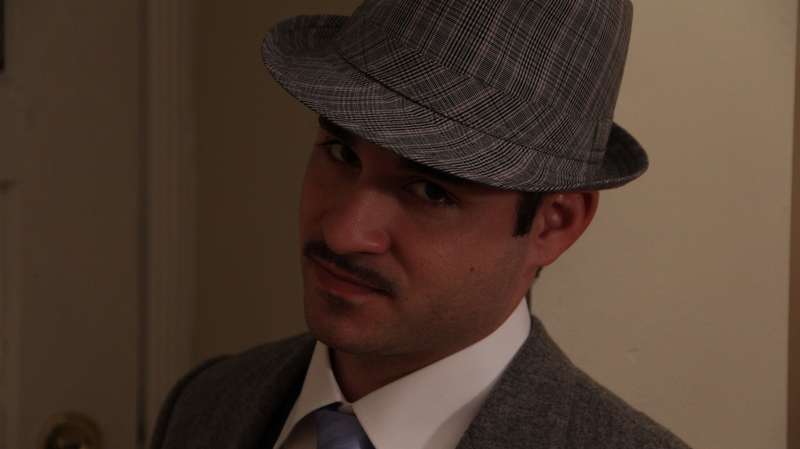 Actor Tommy Vita as Billy. 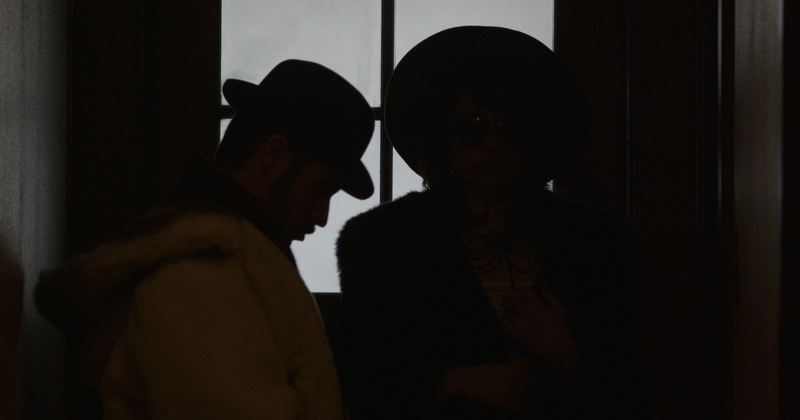 Production still by Bruno Doria. Actors Tommy Vita and Claire Ganshert. 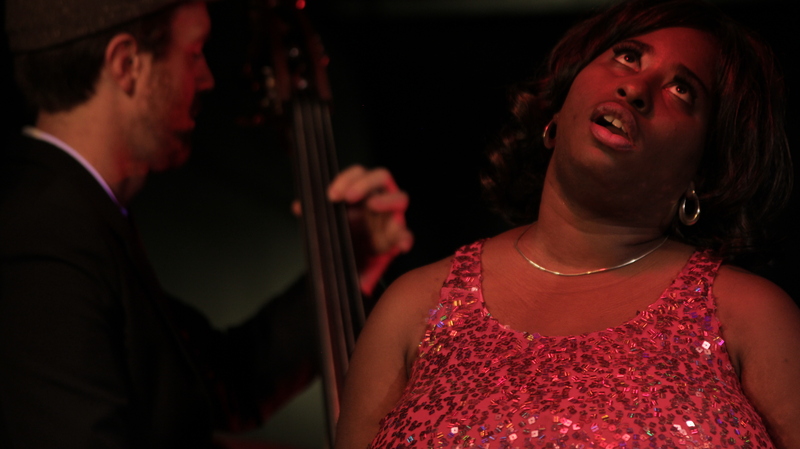 Production Still by Eileen O'Donnell. Actor Claire Ganshert. 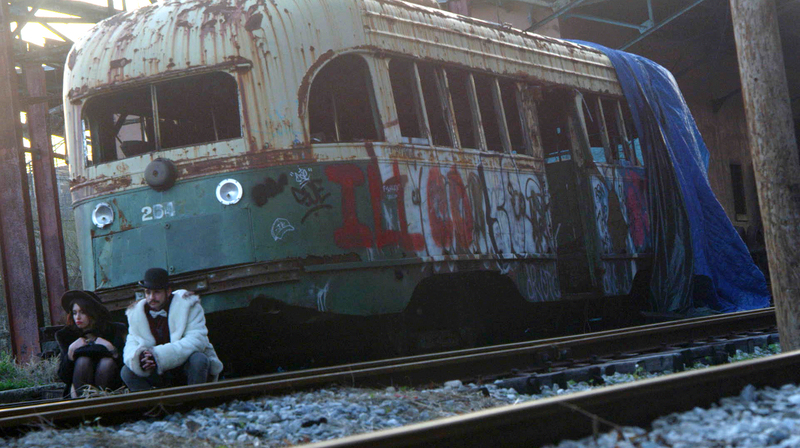 Production Still by Bruno Doria. Actors Ivans Theo and Tommy Vita. Photo by Miceal Og O'Donnell. 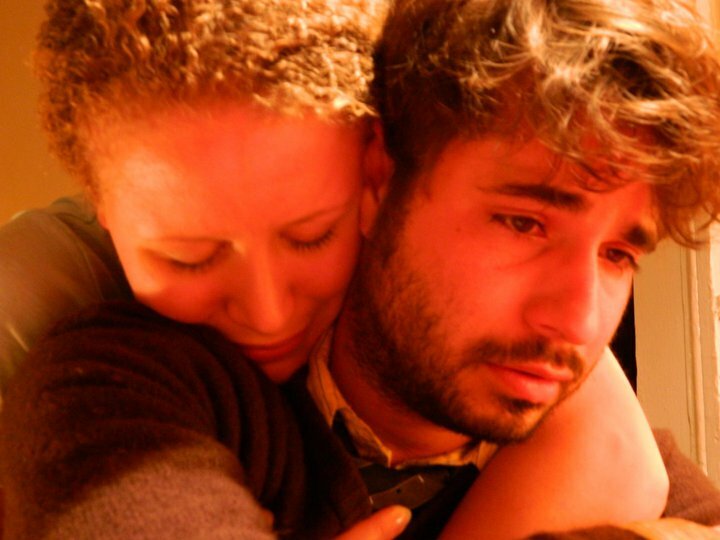 Actors Tommy Vita and Claire Ganshert. Photo by Bruno Doria. Dante and Minnie is a feature length independent film shot on the Canon 7D. It is a Christmas movie shot in June 2011 in New Orleans, LA. 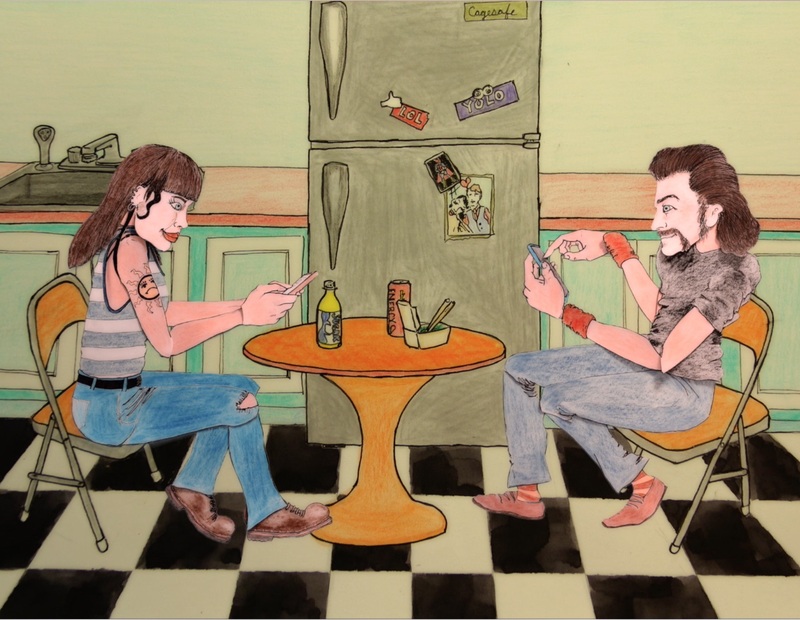 Dante and Minnie is the story of two young homeless people. 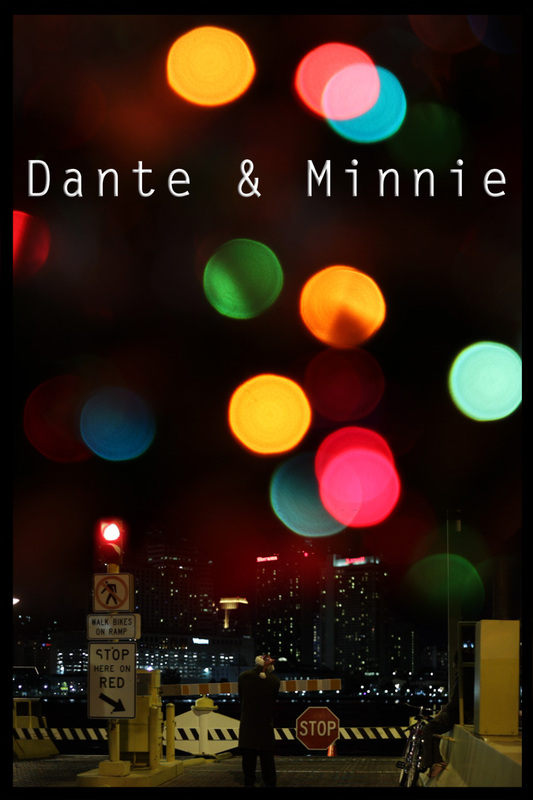 Minnie is trying to escape life on the streets, while Dante is trying to escape the real world by retreating to the streets. They fell in love as their paths crossed, but now they struggle as they each try to push the other in the direction they are headed. 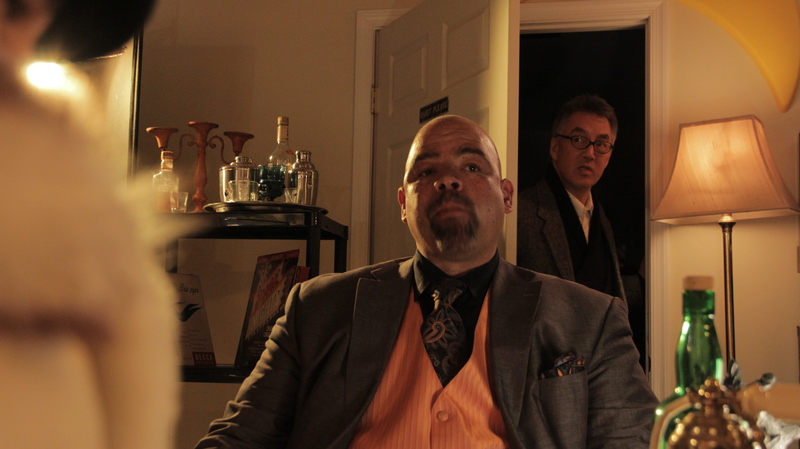 Cinematographer Bruno Doria, actor Tommy Vita. Photo by Miceal Og O'Donnell. Crew and lead cast of Dante and Minnie (sound Raul Doria, Producer Todd Ritondaro, Actor Lauren Allen, Production Manager Alex Payne, Actor Tommy Vita, Cinematographer Bruno Doria.) Photo by Miceal Og O'Donnell. Actors Tomm Vita and Lauren Allen. Photo by Miceal Og O'Donnell. 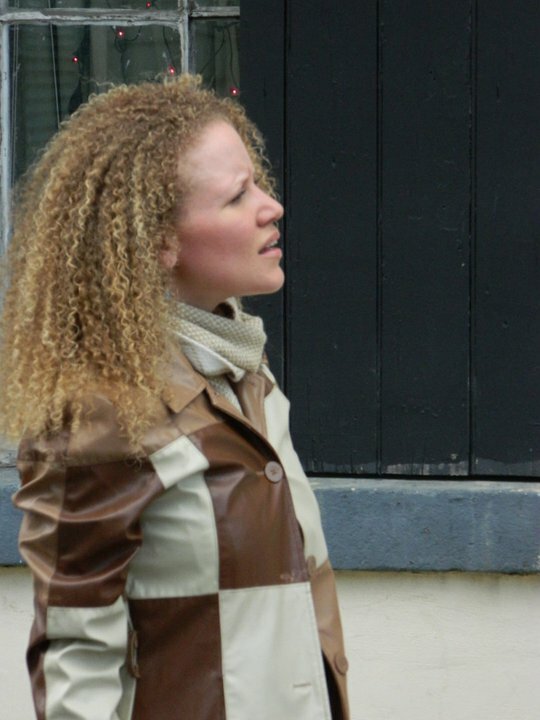 Actor Holly Ladnier as Cynthia. Photo by Miceal Og O'Donnell. 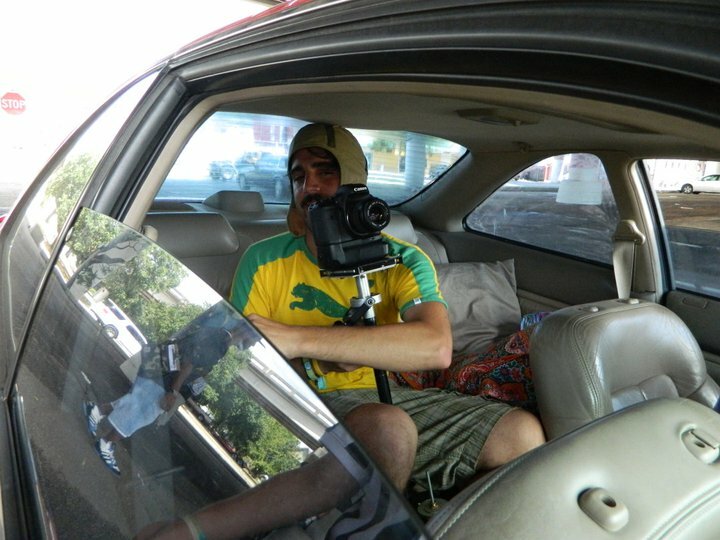 Bruno Doria, cinematographer in back seat, Actor Delia Bennett in front seat. Photo by Miceal Og O'Donnell. Cinematographer Bruno Doria in back seat. Photo by Miceal Og O'Donnell. 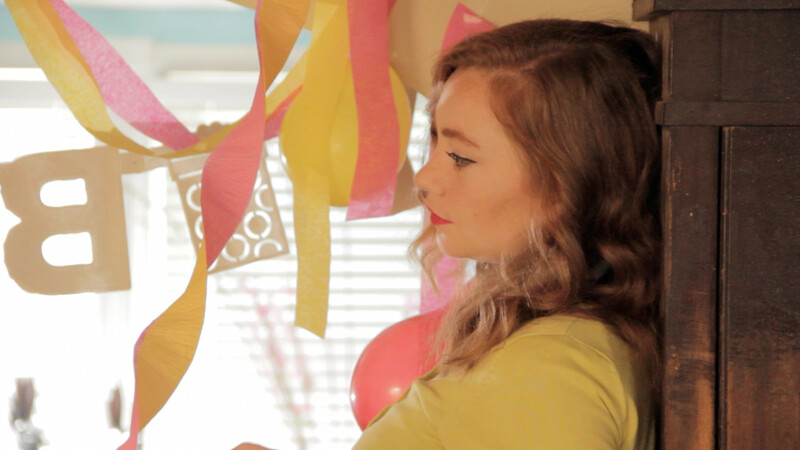 Swallow is a 20 minute short film shot on the Scarlet Red camera in the Spring of 2012. It premiered at the Timecode:Nola Film Festival 2. The film is the exploration of a man whose idea of the world has been shaped by means of conditioning through guilt and shame. Swallow explores this man's life by means of an organic stream of consciousness - where all things have already happened and represent the flashes of images that would likely happen in a single moment of conflict. The film is a tribute to those raised in a strict Catholic household. 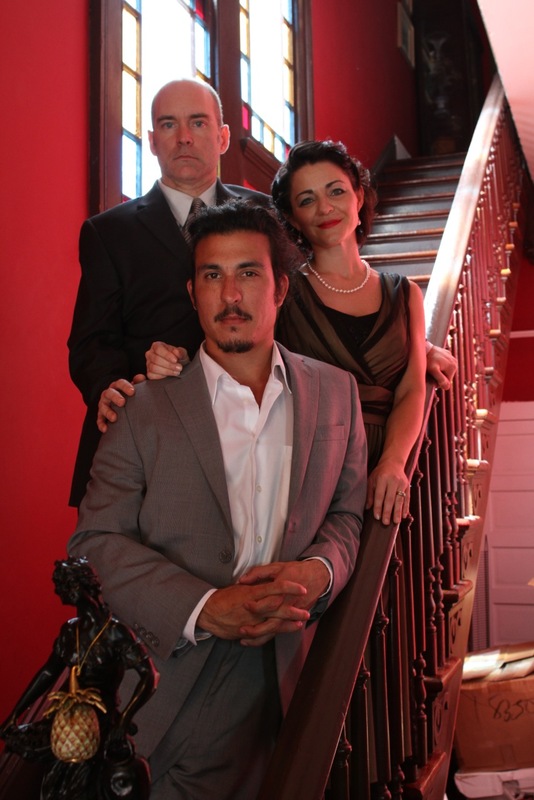 Actors Joseph Meissner, Nick Gomez, and Shanna Forestall. Photo by Chris Nausley. 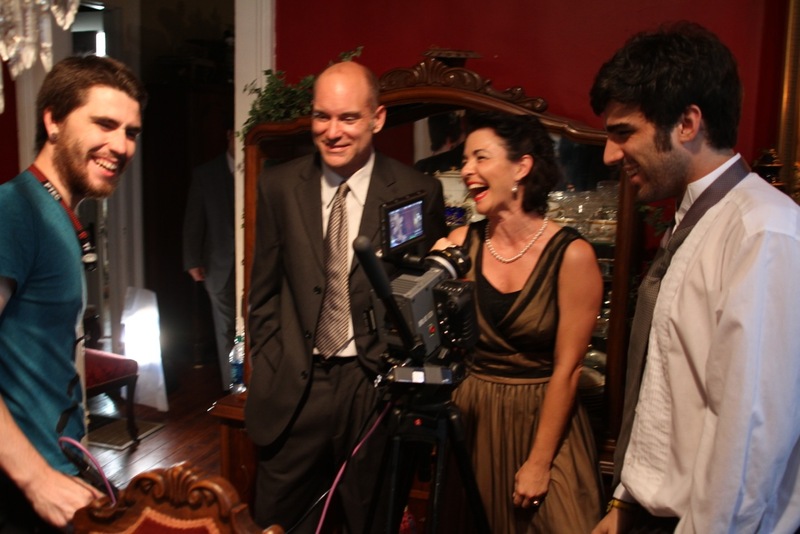 Actors Joseph Meissner, Shanna Forestall, and Nick Gomez. Photo by Chris Nausley. 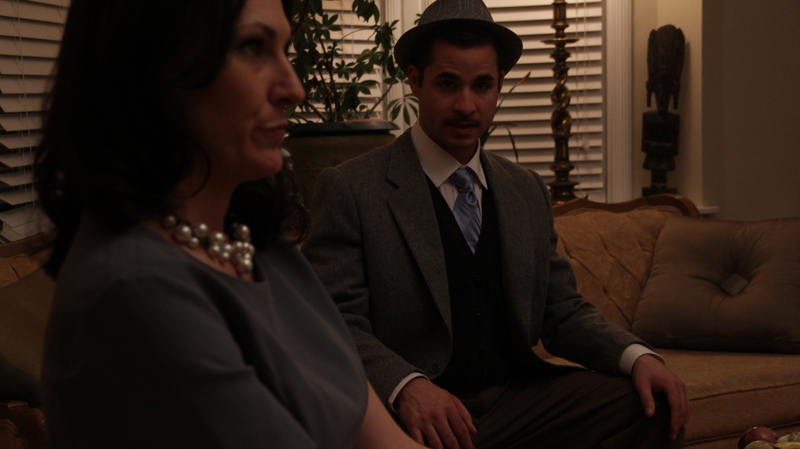 Actors Joseph Meissner, and Shanna Forestall. Cinematographer Bruno Doria. Photo by Chris Nausley. Actor Shanna Forestall. Photo by Chris Nausley. 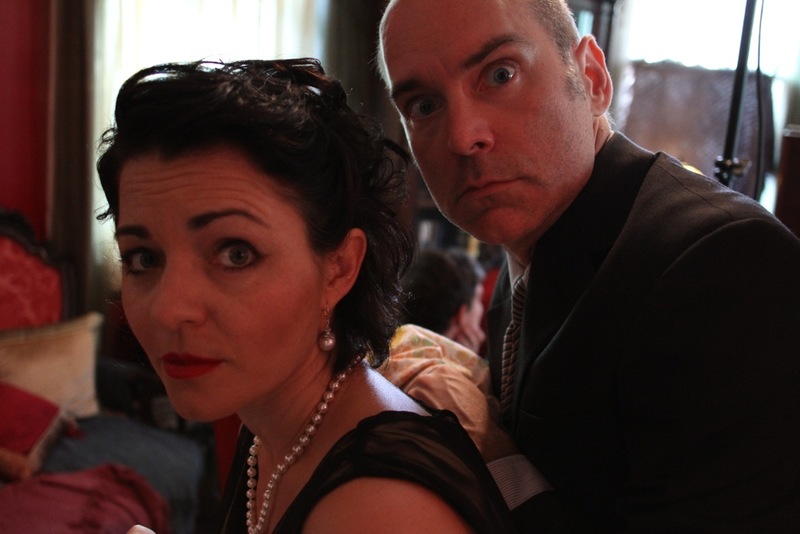 Actors Shanna Forestall and Joseph Meissner. Photo by Chris Nausley. A Satisfactory Life is a short film shot in Baltimore MD on the Canon 60D. 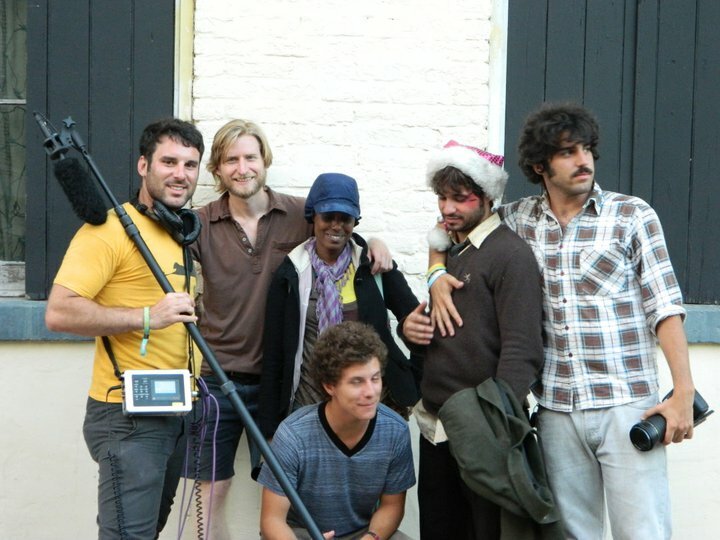 A different short film was intended to be shot that day, but required an outdoor location. Due to rain, on the day of shooting the script was changed. 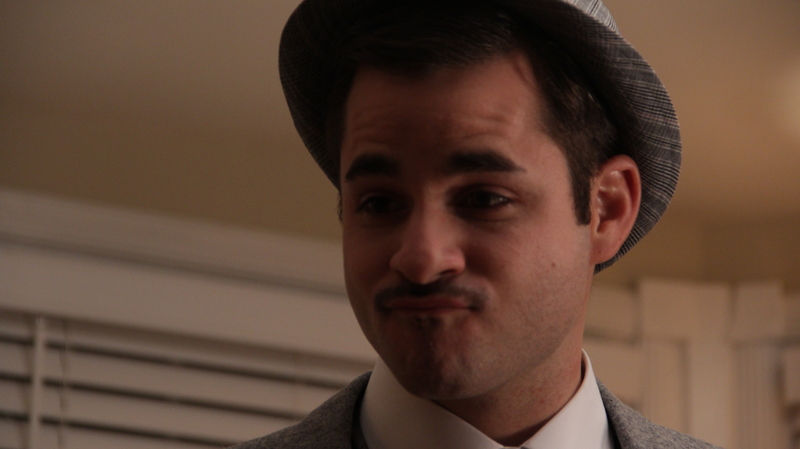 A Satisfactory Life is a Honeymooners inspired short film. 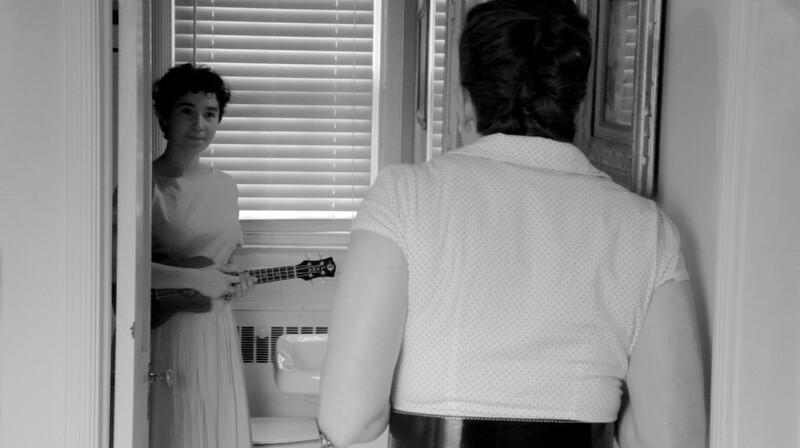 The film looks to take advantage of the audiences' expectations of safety within this style of shoot - namely stylized 1950's acting, black and white, clearly Honeymooners inspired. Ralph Kramden yells and throws fits, but always proves to be harmless. A Satisfactory life uses the first half of the film to build on these expectations, and the second half of the film to turn it on the audience. Actors Siobain O'Donnell and Tommy Vita. Photo by Miceal Og O'Donnell. Actor Tommy Vita. Photo by Miceal Og O'Donnell. Actor Rebecca Barras. Photo by Miceal Og O'Donnell. 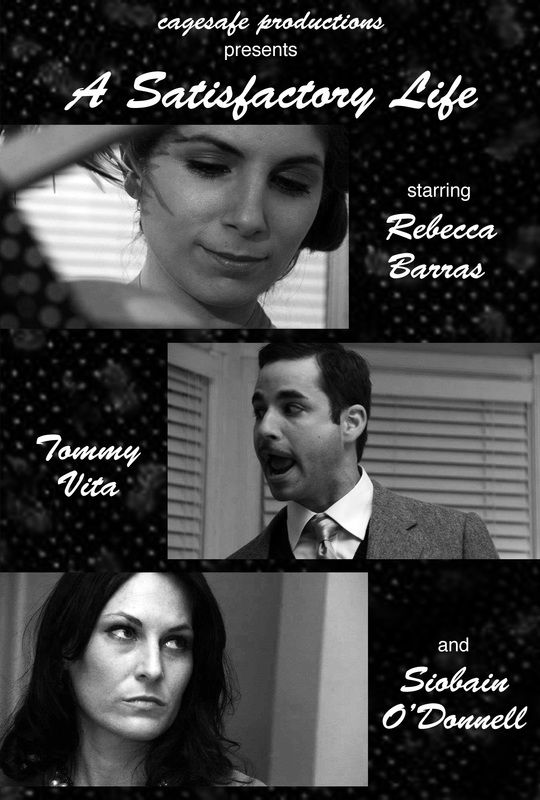 The Victory Lounge is an independent feature film shot in New Orleans, LA in the Spring of 2012, featuring an ensemble cast of local actors. 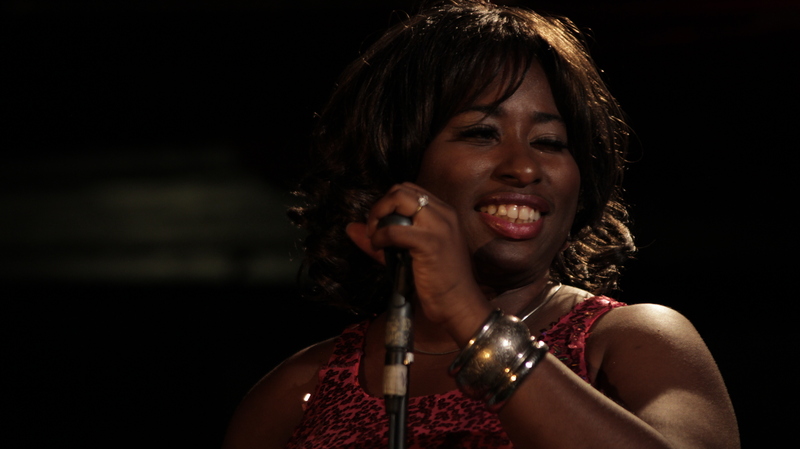 The film was shot on the Canon 60D. Thematically, the film deals with characters who are caught up with competing to project a false image of themselves to the world to deal with a deep torturing insecurity. The Victory Lounge is a dark comedy that often reaches into exploitation in its attempt to share the characters' humiliations with the audience. Actor Holly Ladnier in The Victory Lounge. 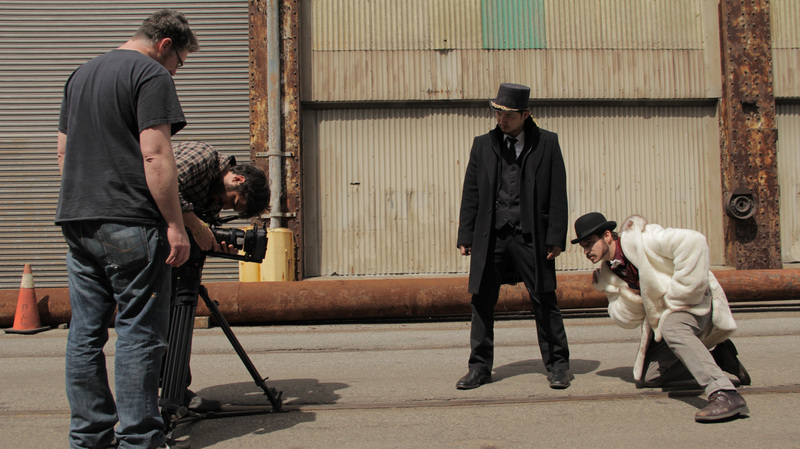 Production still by Miceal Og O'Donnell. 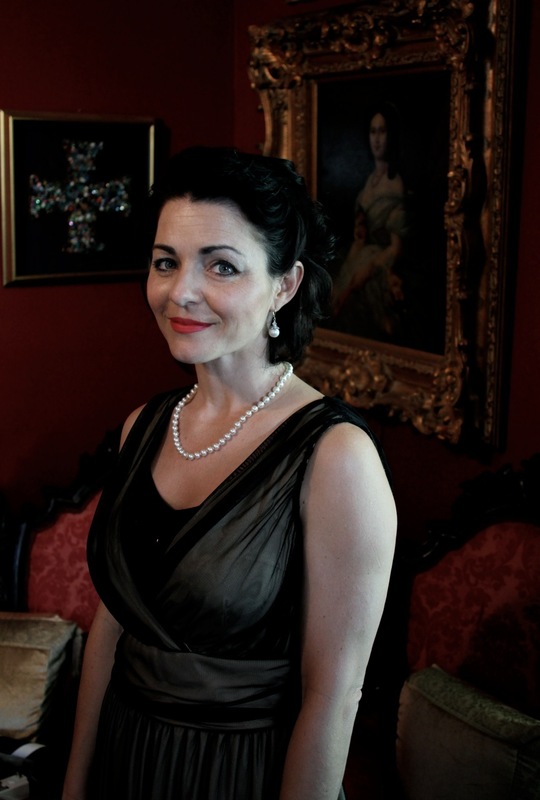 Actor Elizabeth Ervin as Belinda in The Victory Lounge. 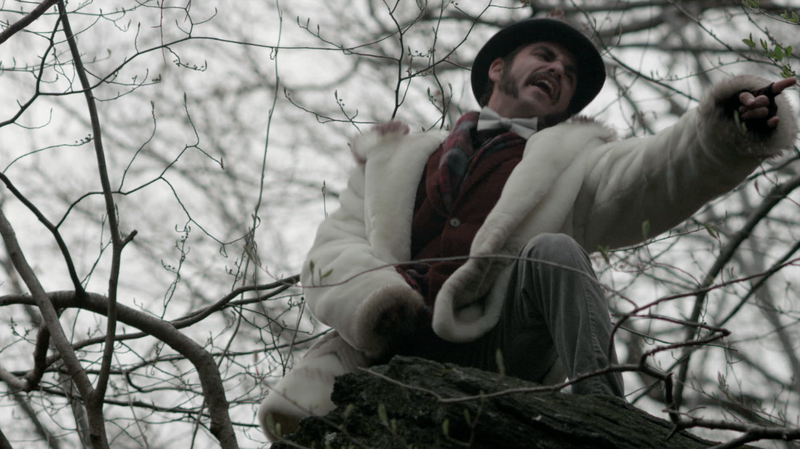 Production still by Miceal Og O'Donnell. Actors Rebecca Laborde, Tommy Vita, Rebecca Barras, Samantha Sitzman, and Lauren Allen in The Victory Lounge during Sid's fantasy sequence. 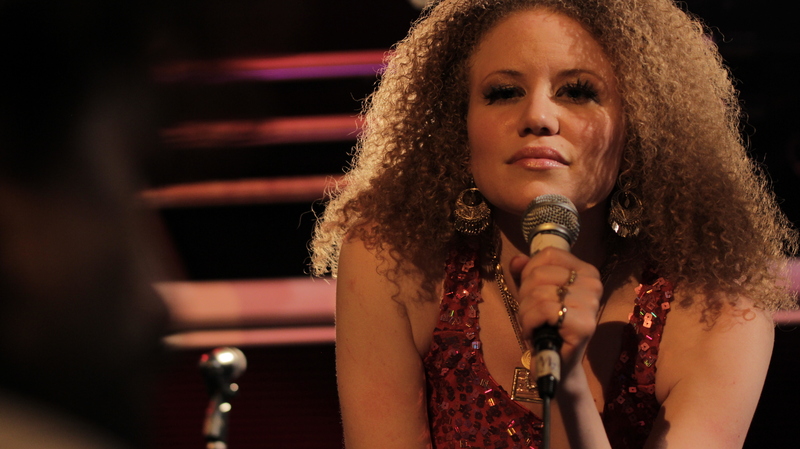 Production Still by Miceal Og O'Donnell.